Together, our team has successfully completed over 60 transactions and deployed over USD 980 million in Asia. Our team is dedicated to each portfolio company, aiming to enhance and streamline business operations and achieve greater earnings. 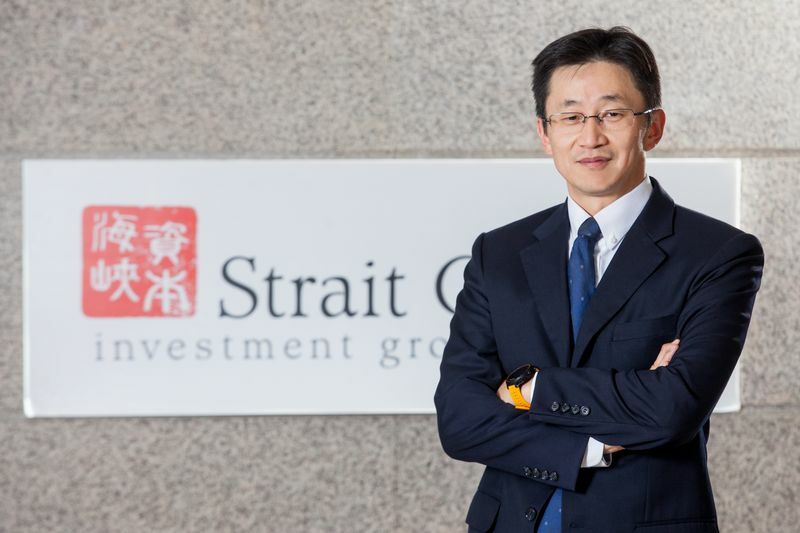 Chairman and Founding Partner Benny is one of the co-founders and a partner of the Strait Capital Investment Group. Prior to establishing the group, Benny was the chairman and president of the China Development Industrial Bank in Taiwan. Benny holds a BA from the National Taiwan University and further obtained MA from the Yale University and MBA from the Wharton School at the University of Pennsylvania. Benny was the renowned pioneer in the field of finance and was delegated as the ambassador-at-large for Taiwan since 2001. He has served as ambassador-at-large for the Taiwanese government since 2001. Managing Partner and CEO Previously a partner at the Whitesun Equity Partners, Rick began his investment career with the China Development Industrial Bank in 1995. Rick is currently a co-founder and a managing partner & CEO of the Strait Capital Investment Group. With over 23 years of abundance experience in the field of private equity and direct investment, Rick primarily focused on markets in China, Hong Kong, Taiwan, and the United States. Partner After serving as the vice president of the Whitesun Equity Partners and as the manager of the overseas investment department at the China Development Industrial Bank, Jack co-founded the Strait Capital Investment Group and currently serving as a partner. Jack holds a BS from the National Taiwan University, an MS from Stanford, and a PhD from Purdue. 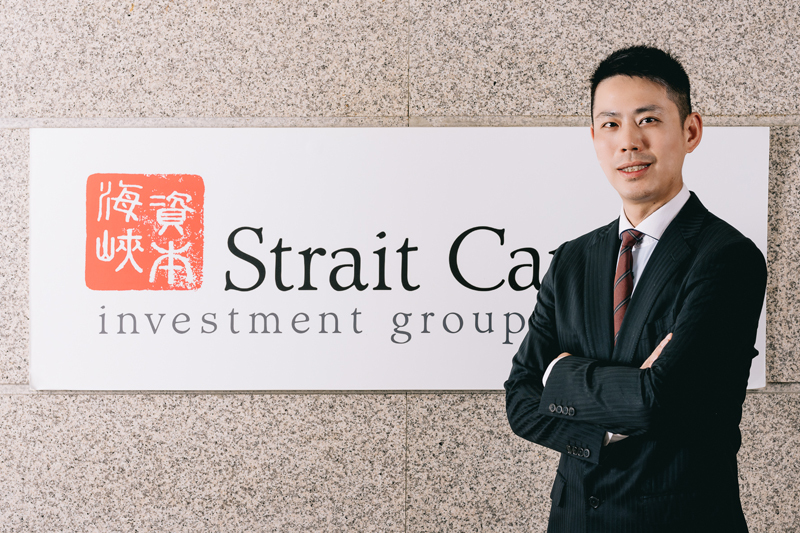 Partner Jason acts as the operating partner at the Strait Capital Investment Group. Prior joining the group, Jason was the chief financial officer and the head of investor relations at DigiWin Software. During his tenure at DigiWin, Jason led a restructuring project and was also in charge of the company's IPO in China in 2007. Jason holds a BS from the National Taiwan University. 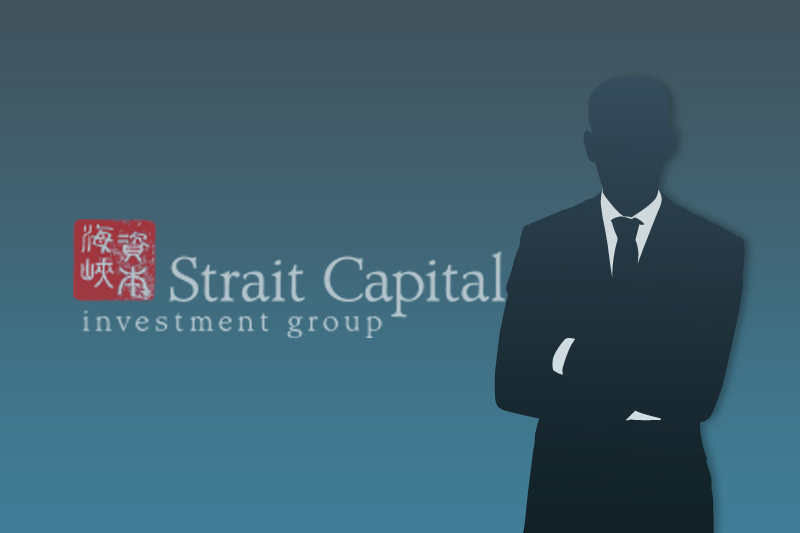 Partner David is the head of client management at the Strait Capital Investment Group. Prior joining the group, David served as the vice president at the Chinatrust Commercial Bank, mainly responsible for the client relations with Japanese financial institutions. He too oversaw the structured finance deals in the Bank of Nova Scotia in Tokyo. David holds a BS from UC Riverside and an MS from the Waseda University. 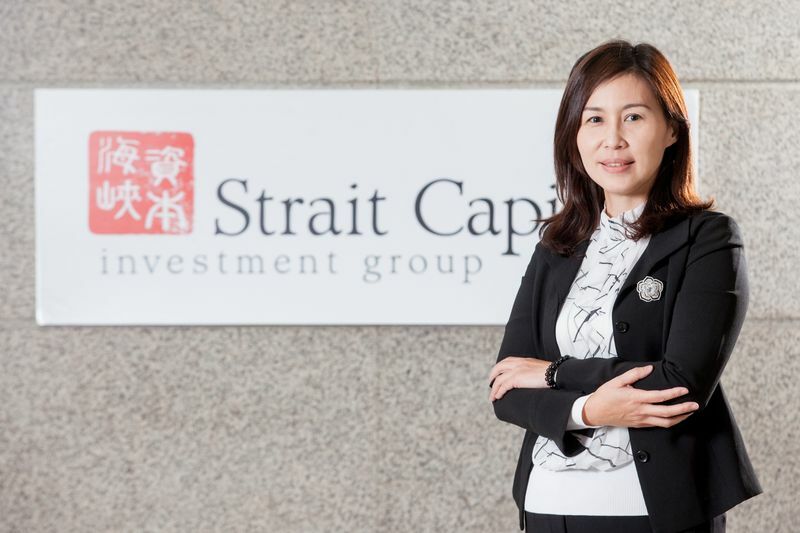 Managing Director Sandy is the chief financial officer of the Strait Capital Investment Group. Sandy served as the CEO and co-founder of the Uitox Corporation and she was the chief financial officer of Dynamic Medical Technologies Inc. (a TWSE listed company) prior founding Uitox. Sandy holds BA and Executive MBA degrees from the National Taiwan University; she is also a certified public accountant in Taiwan. 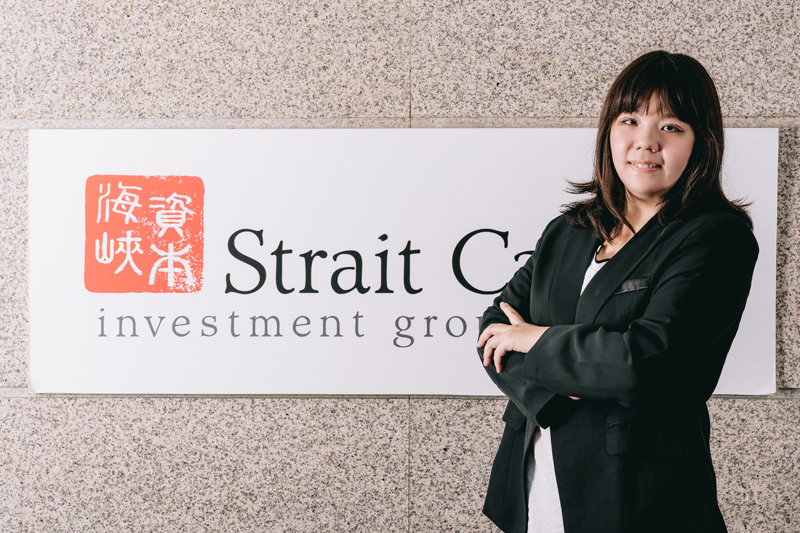 Director Iona is currently a director at the Strait Capital Investment Group who has over 15 years of solid experience in investing and managing venture capitals and private equities. 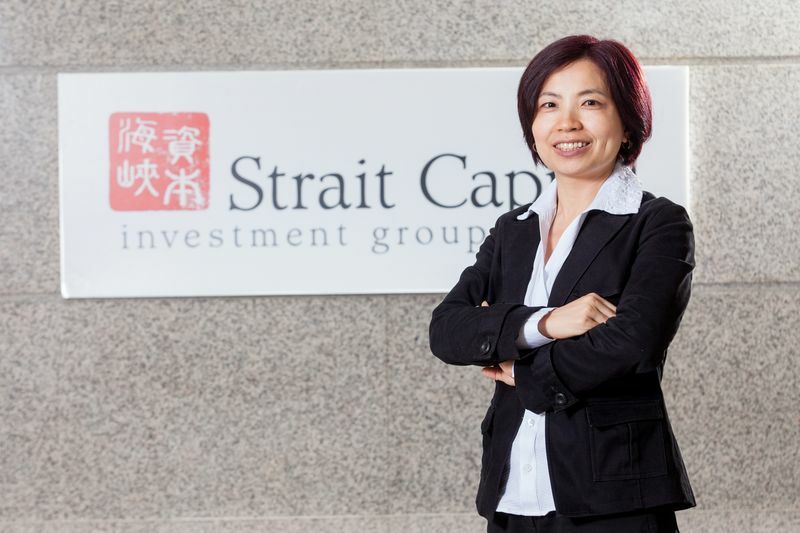 She previously worked as senior manager at Whitesun Equity Partners and SinoVenture Holding Limited that managed China related funds denoted in USD and RMB. Iona holds a BS from the Shih Hsin University and an MBA from the University of Illinois. 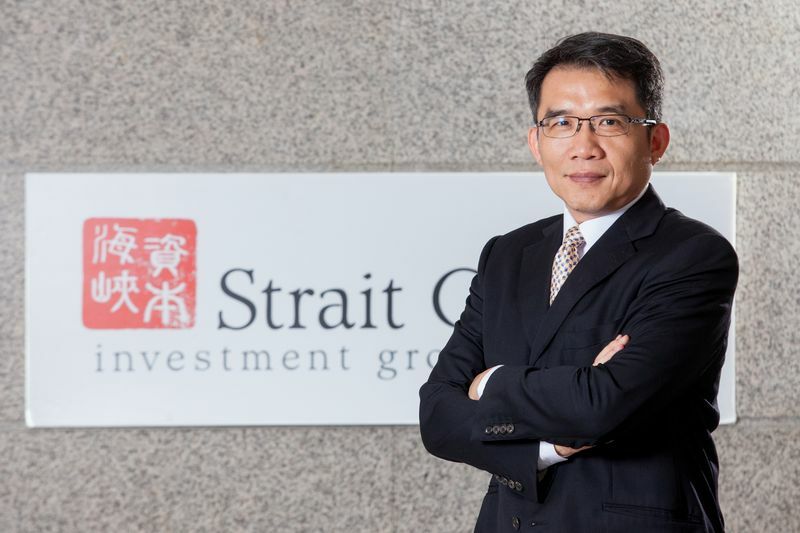 Director Ray Chou joined the Strait Capital Investment Group as the investment director. He has over 8 years of experience in the PE/VC and FMCG industry. 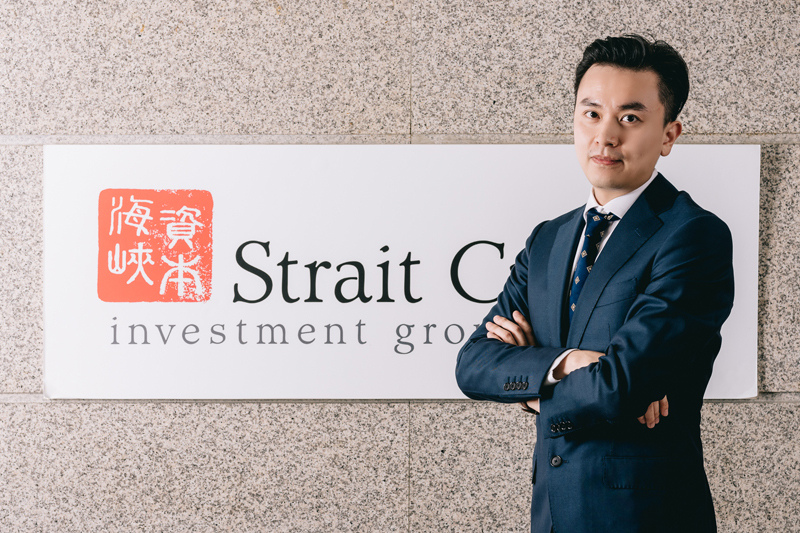 Prior to joining Strait Capital Investment Group, he was a vice president at the SMC Capital China and a senior associate at the Capvent AG. Mr. Chou also worked as a research and client development manager at Morgen Evan & Co. He received his BA from Shih Hsin University and holds an MBA from the Thunderbird School of Global Management and was awarded Beta Gamma Sigma society honor upon graduation. 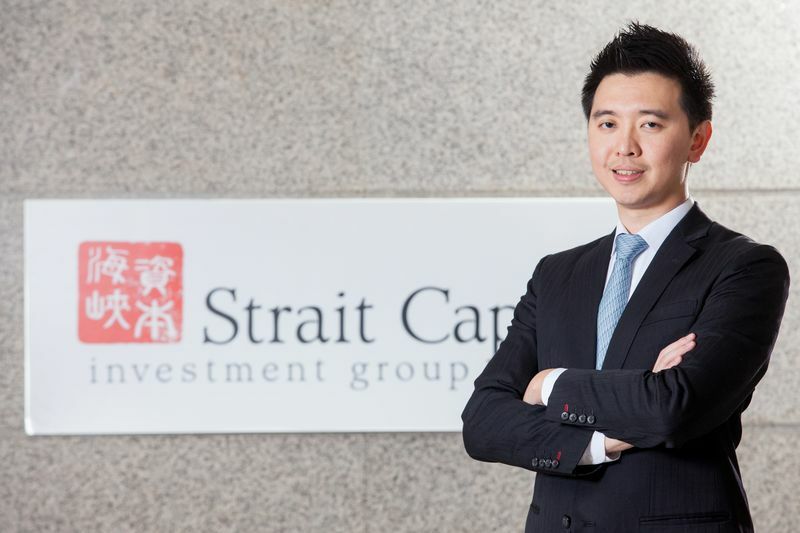 Vice President Eric is the vice president of the Strait Capital Investment Group who worked as a financial consultant of Whitesun International focused in the consumer sector. Eric became the vice president of Vinaceous Diamond International Corp., a Vietnam-based private equity fund in 2007. Before joining Vinaceous, Eric was a senior analyst covering TMT industry in Fubon and Masterlink Securities. Eric has collective experience dealing with diverse investment environments including the Greater China, Korea, Malaysia, Singapore and Vietnam. Eric holds MBA and MS degree from the Fu Jen Catholic University and the National Chengchi University, respectively. 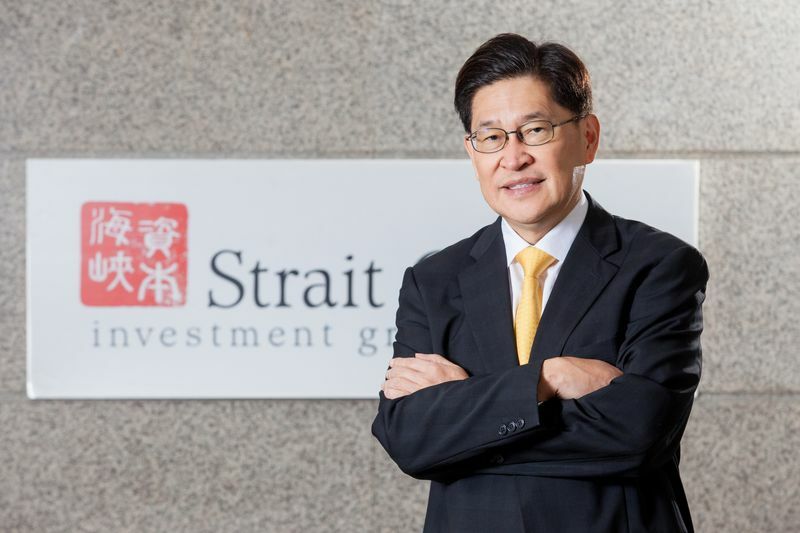 Vice President Kevin Kan is a vice president of the Strait Capital Investment Group. 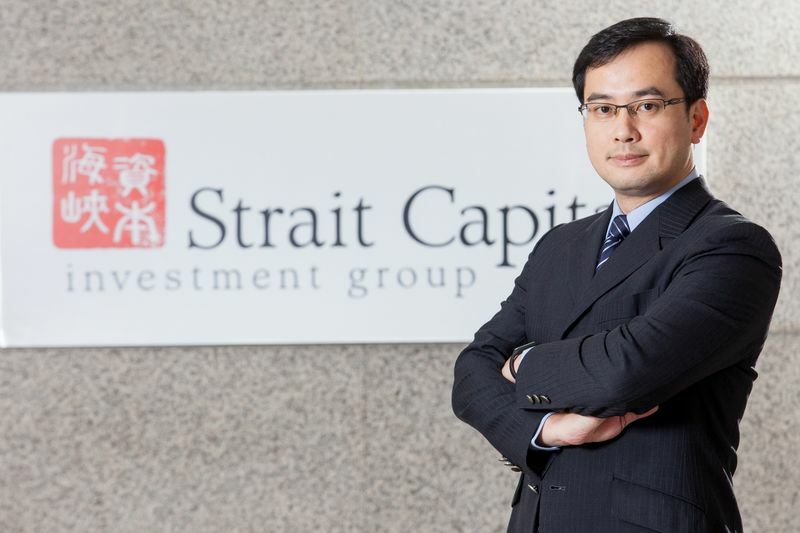 Prior to joining the Strait Capital Investment Group, Kevin worked as manager at Mitsubishi Corporation in Tokyo and in Taipei for 12 years, mainly responsible for business development, direct investment, and investor relations. Mr. Kan is a CFA charterholder and received his BA from National Taiwan University and MBA from University of Maryland. Vice President After working as an equity research analyst at the Royal Bank of Scotland Securities, Daniel joined the Strait Capital Investment Group as a vice president. He worked at the BlackRock on market researching before moving RBS. Daniel graduated from the National Taiwan University with a BA degree. 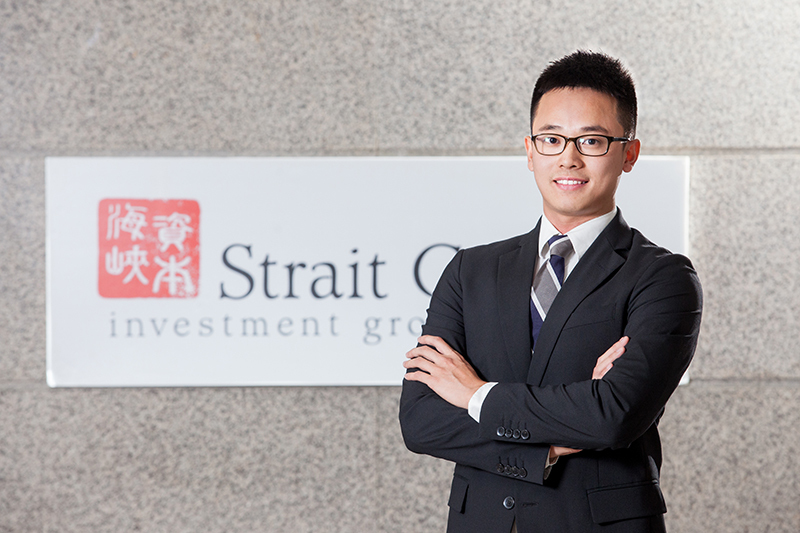 Analyst Will Wang is an Analyst at the Strait Capital Investment Group. Prior to joining the group, Mr. Wang held positions at Tsing Capital and the Center on Global Energy Policy in New York. Mr. Wang also worked as an Equity Research Consultant for Barclays Investment Bank in New York, covering U.S. shale oil & gas and water usage in unconventional drilling sectors. Mr. Wang received his Master's Degree in Public Administration in Energy Policy and Finance from Columbia University. 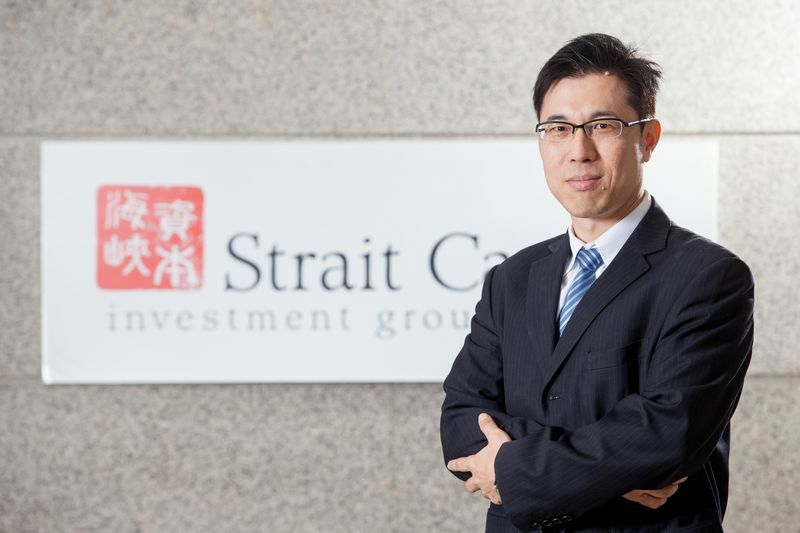 Analyst Harry Jiang is an Analyst at the Strait Capital Investment Group. Prior to joining the group, Mr. Jiang held positions at SMC Capital China and PurpleSky Capital, focusing on market research and deal sourcing. Mr. Jiang co-founded an oversea education preparation start-up before entering the investment business. Mr. Jiang received his BA in Psychology from Wesleyan University. 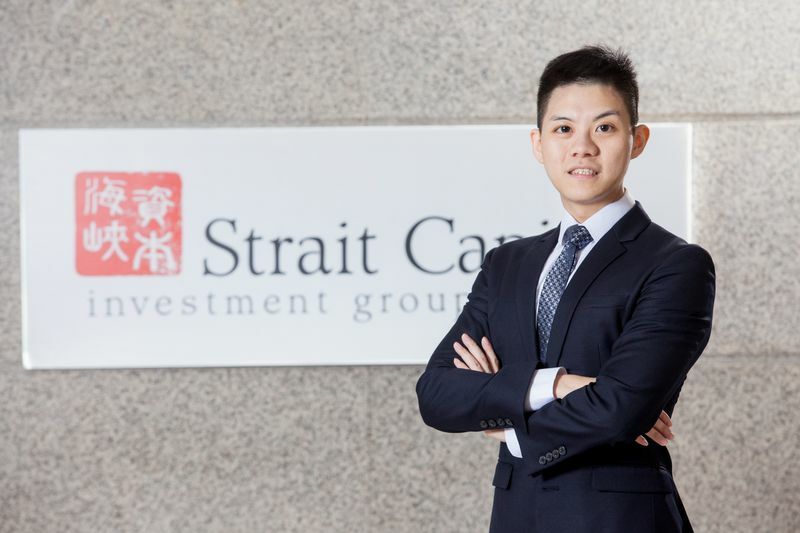 Manager Prior to joining the Strait Capital Investment Group as a manager, Harry was an associate at the CIMB covering financial and non-tech sectors and an analyst at J.P. Morgan. He holds a BA degree from the National Taiwan University and spent a semester as an exchange student at UC Berkeley. Manager Marcie joined Strait Capital Investment Group as a manager after serving as an auditor at PricewaterhouseCoopers. Marcie holds a BA from the Shih Chien University and an MS from the University of Bristol. 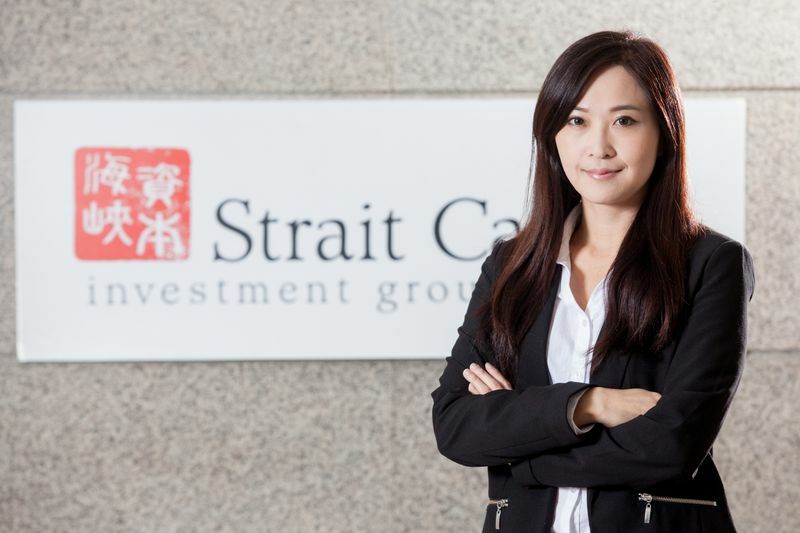 Manager Ariel is a manager at the Strait Capital Investment Group. Prior joining the group, Ariel was a senior specialist at the Data Systems Consulting. Ariel holds a BA degree from the Shih Chien University and is receiving her master's degree in law specializing in IP rights, in 2018. Manager Cindy previously worked as the financial manager at the Uitox Corporation prior to joining Strait Capital Investment Group. She also worked as an associate of the Dynamic Medical Technologies Inc. before moving to Uitox. Ms. Lee received her BA from the National Taipei University of Business. 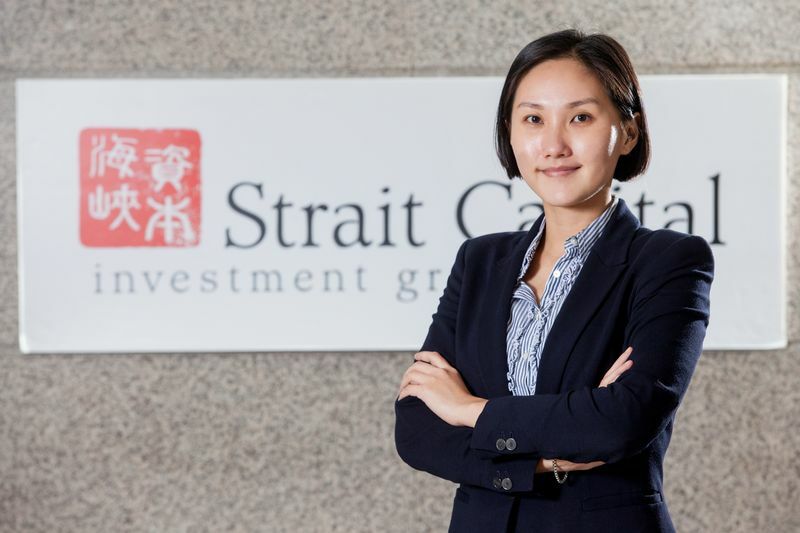 Assistant Prior joining the HR department of the Strait Capital Investment Group, Yilia worked as an HR officer at various companies in the investment and advertising sectors. She received her BA from the Shanghai University.